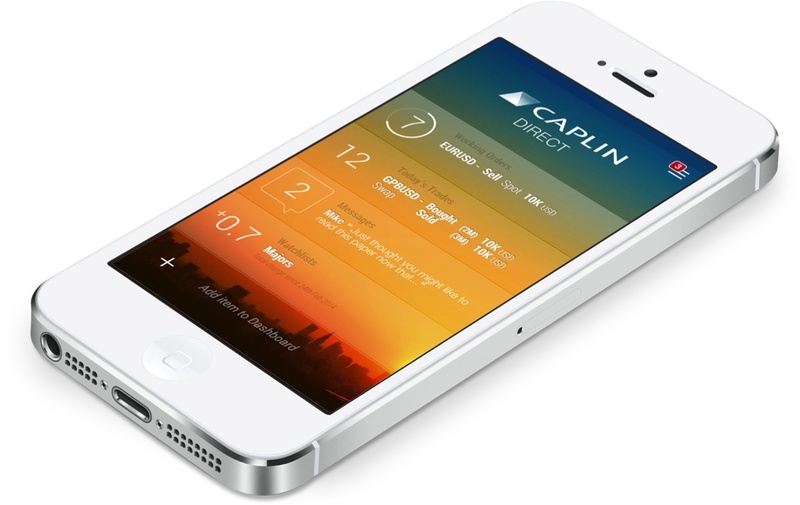 London, New York – August 18, 2014: Caplin Systems, e-distribution specialist and the pioneer of single-dealer platform (SDP) technology, today launches Caplin FX Mobile. Built in HTML, the new app enables a bank’s clients to monitor and manage FX orders via their smartphones and tablets. Already licensed by a major Asian bank, the new product is being trialled by financial institutions around the world. Caplin FX Mobile seamlessly integrates with Caplin Direct, a hosted and managed SDP service announced in December last year, which delivers a fully operational single-dealer platform as a service. Once connected to a trading system, Caplin Direct provides an ‘out of the box,’ FX SDP with advanced capabilities and workflows. This can be styled and branded to precisely match a bank’s corporate livery, and extended with custom features. With the addition of Caplin FX Mobile, this rich and robust functionality is now available on the device of choice. Most banks already recognize the importance of delivering a better customer experience by providing direct e-distribution via a single-dealer platform. But with tablets now outselling desktop PCs, mobile delivery channels are set to become a major factor in customer attraction and retention. Citigroup, the world’s largest FX dealer, recently harnessed Caplin technology to provide advanced mobile trading capabilities through its Velocity iPad and Velocity iPhone offerings.